David Heide Design Studio (DHDS), the Minneapolis design and architecture firm, won a first-place award in the international 2015-2016 Sub-Zero and Wolf Kitchen Design Contest. 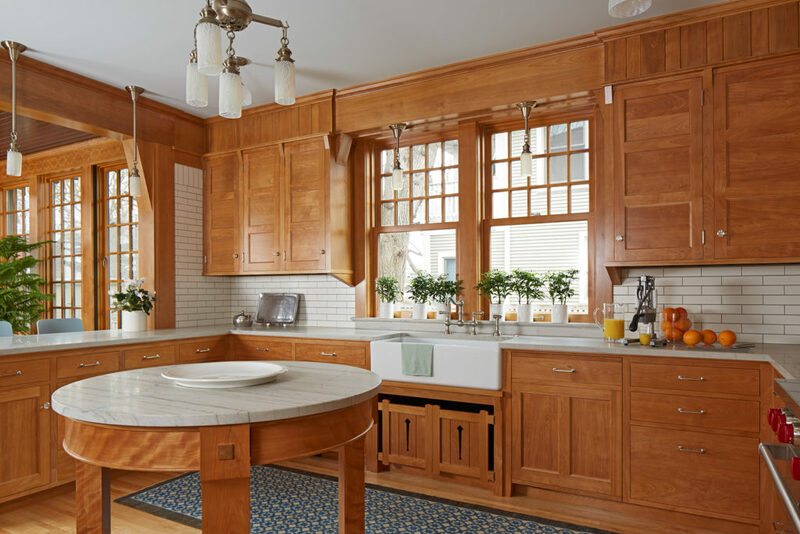 The restoration of the traditional kitchen in a St. Paul Tudor-style home, originally designed by noted Minnesota architect Franklin Ellerbe, was selected out of more than 1,500 entries from 24 countries worldwide. The winning project—involving renovation, restoration, and a 300-square-foot addition—returned a 1970s-era kitchen to the home’s original 1908-style glory. Because prior homeowners had kept Ellerbe’s original plans, DHDS designers knew that red birch had been used in the kitchen area of the house. To stay true to the home’s roots, they used red birch as the primary material in the redesign. The team balanced the rich, warm wood with stone countertops and tile, and a farmhouse sink. A wall cove houses the stainless-steel Sub-Zero and Wolf appliances. The lighting combines restored antique fixtures and custom pieces DHDS designed. A rail was added for the clients’ Danish plate collection. Rather than an island, the kitchen has a custom Craftsman-style table with stone top. An adjacent breakfast room/lounge, which overlooks the back garden, has the feeling of a filled-in porch. Subtle decorative stenciling was added on the wood frieze around the breakfast room. 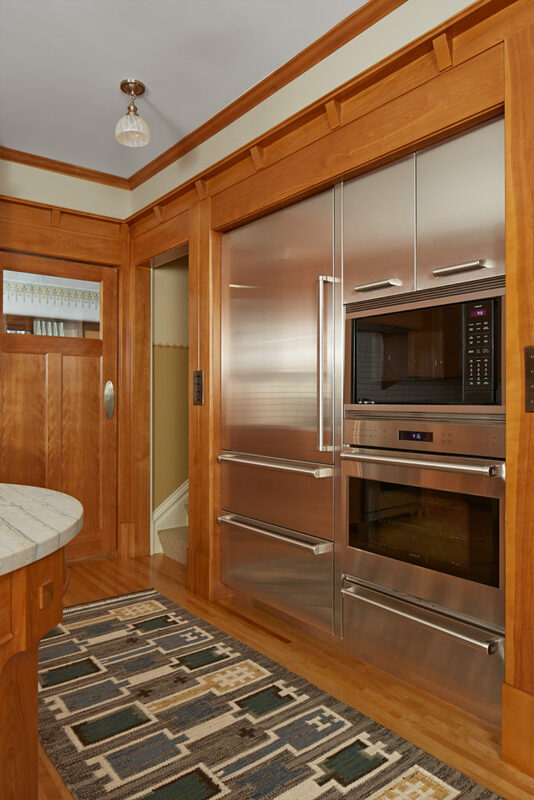 The stainless-steel appliance alcove balances the quantity of wood in the kitchen. As one of 25 finalists in the competition, the DHDS team—founder and principal David Heide, senior design associate Chris Christofferson, and architect Mark Nelson—attended Sub-Zero and Wolf’s “Best of the Best” Winners’ Summit & Gala awards dinner at the end of September in San Diego—capping the evening by earning top honors. “We’re thrilled, after being finalists four times, to have earned the honor of being a global winner,” says Heide.